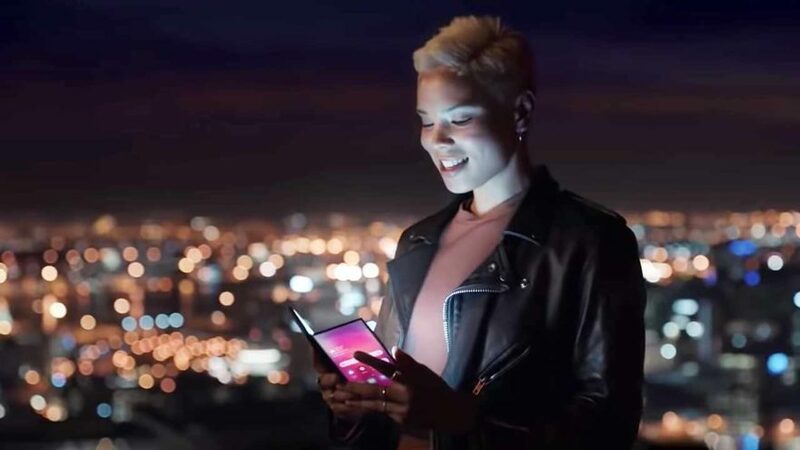 Nothing says we’re getting closer to the launch of Samsung’s foldable phone — often called Samsung Galaxy X and even Samsung Galaxy F and Galaxy Fold in the rumor mill — more than a video that briefly shows the device. Granted it was accidentally uploaded by Samsung Electronics Vietnam, the clip is still an official promo material brandishing the Korean technology giant’s new “Do What You Can’t” tag line and its concept of the future. The video has since been taken down, but not before sites like SlashLeaks were able to download a copy of it, as seen below. You’ll find the Galaxy X at the 24-second mark. The unit features the Infinity Flex Display, which Samsung introduced at its developer conference in the United States in November last year. The company used new components for it, two of which are a flexible OLED layer and a malleable adhesive to hold the assembly together. The Galaxy X’s screen is said to be tough enough to withstand being folded hundreds of thousands of times. It’s also the thinnest display the manufacturer has ever built. Samsung is expected to launch the device at its February 20 (February 21 in the Philippines) Unpacked 2019 event in San Francisco, where it will also unveil the Galaxy S10 series. Besides the big S, Huawei is also confirmed to announce its own foldable smartphone this month, on February 24 in Barcelona, Spain. We at Revü will be at MWC or Mobile World Congress mainly for OPPO’s February 23 innovation event, so we’re hoping to at least get a glimpse of that.